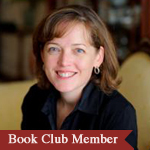 "Call them forward to learn, improve and grow, rather than just get something sorted out." 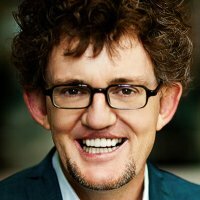 Full disclosure: I am a big fan of Michael Bungay Stanier, and I was excited about his new book The Coaching Habit before I even read it. Once I had, I knew it was going to be the answer to the challenge many leaders have with how to incorporate the much-needed role of coaching into their day-to-day work. Admit it, you’ll never have more time. But with the research clearly showing that coaching can improve individual performance and bottom-line results, it’s worth the effort to build coaching into your role as leader, and see greater productivity, engagement and accountability in your team as a result. Before getting into the details of how to coach effectively, the book starts with guidance on how to make coaching part of your regular routine. As the author notes, there’s no point spending time on building a new skill if you don’t change your behavior at the same time. By working through the steps, from defining the reasons for starting to coach and when you intend to use it, to beginning to practice on a smaller basis before moving into using it more broadly, you’ll develop a routine that ultimately becomes a habit. The final step in building a habit is having a plan for knowing how you will recover quickly if you forget to use your new skill. Rather than giving up if you keep forgetting to do it, identify two or three phrases (such as saying “but before we get to my thoughts, what ideas do you have so far?”) to allow you to recover and get back on track. If you’ve been avoiding coaching in your role because you think you need to take a course or spend lots of time learning a difficult new skill, the book gives you an easy way to get started. It’s simply knowing what to say. "Coaching for development is about turning the focus from the issue to the person dealing with the issue, the person who's managing the fire." It can’t be much easier than this: when you’re asked “how should I do this?”, your response should be to ask guiding, probing questions that help the individual uncover the right answer. The author gives us seven great questions to use in various combinations to create powerful coaching conversations. If someone comes to you to ask for a few minutes, open with “What’s on your mind?” If they ask what they should do, try saying “What’s the real challenge for you with this?” You can see how the flow keeps the ownership for what to do next with the person who raised the issue. In addition to getting in the habit of asking questions, there’s one other habit you need to build. "Even though we don't really know what the issue is, we're quite sure we've got the answer they need." Staying out of advice mode and instead using one of the essential coaching questions allows the ownership and accountability for solving the problem to stay with the person who has the issue. It’s win-win because they feel more empowered to solve it on their own and you can get back to your own to-do list. If you’re reading this and thinking none of it applies to you because you aren’t a manager, you’re in luck. Everyone can be a coach and use the questions from this book. When a colleague comes to you for advice (and perhaps secretly wanting you to jump in and help do the work), instead of offering solutions, try using one of the seven coaching questions and see how the conversation moves forward in a very different way. This book is an essential resource in every leader’s toolkit. The only question left is, what do you need to do to make coaching a habit? Have you made coaching a habit in your work? What advice do you have for others who are just beginning to use coaching in their role? Please share your thoughts in the comments below.